Virga is rain that falls from a cloud but then evaporates before reaching the ground. 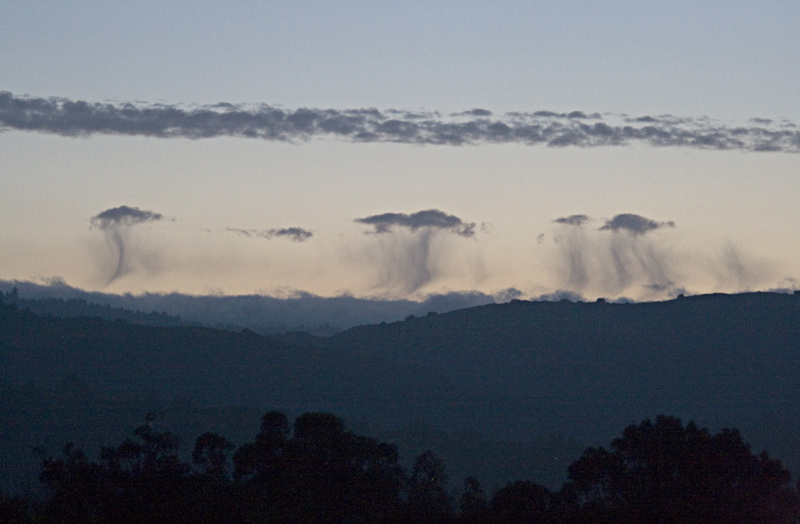 The name "virga" is the Latin word for "a slip cut from a plant." Taken at dusk, 13 May, 2011 looking towards the Santa Cruz mountains and the Pacific.